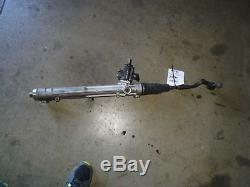 09-12 AUDI A5 COUPE STEERING POWER RACK SERVOTRONIC. 28000 Miles (0 = not available or unknown). 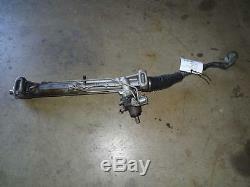 PS RACK, SERVOTRONIC, ASSY RIGHT TIE ROD MISSING, SEE PICTURES, WORKING CONDITION, FACTORY, OEM. This part will fit these makes and models with these options AUDI A4 09 Power Rack and Pinion; SW, Servotronic (opt 1N3) AUDI A4 10-12 Power Rack and Pinion; Servotronic (opt 1N3) AUDI S5 10-12 Power Rack and Pinion; Servotronic (opt 1N3) AUDI S4 10-12 Power Rack and Pinion; Servotronic (opt 1N3) AUDI A5 10-12 Power Rack and Pinion; Servotronic (opt 1N3) AUDI A5 08-09 Power Rack and Pinion; (Quattro) AUDI S5 08-09 Power Rack and Pinion AUDI A4 09 Power Rack and Pinion; Sdn, Servotronic (opt 1N3). CHECK WITH YOUR DEALER TO MAKE SURE THE PART YOUR ARE PURCHASING IS COMPATIBLE WITH YOUR VEHICLE USING THE PART NUMBER PROVIDED. The 30 day period starts when you take possession of the part. 11530 Elks Circle Rancho Cordova, CA, 95742 unless otherwise stated. Ships in the US and International. No APO, FPO or PO Box please. Most areas in the US are within 5 days. ITEM REPRESENTED COMES EXACTLY AS PICTURED. ALL OTHER ITEMS ARE NOT INCLUDED IN SALE UNLESS STATED OTHERWISE. Core is an acronym for'Cash On Return'. A core charge is sometimes applied to rebuildable parts such as engines or alternators that can be redeemed for a portion of their original price. If the part you are purchasing has a core charge applied, it will be noted in the description. The quality of parts is written in the NOTES section of the description, see the breakdown of their general meaning. This will help you determine if the item is in an acceptable condition to you. It is of exceptional condition for its age. No damage, scratches, or cracks. The second level quality part. It is of normal condition for its age. Will have visible signs of normal wear and tear. Might have minor cosmetic scratches and/or scuffs. Item might need some degree of cleaning and/or restoration. The third level quality part. Item might have slight damage and/or heavy wear and tear. It might need substantial cosmetic restoration. The cosmetic quality (if applicable) is not taken into consideration. This voids any and all warranties for this item. A category is a way of classifying a part in inventory. The category appears as a one-letter abbreviation under Part Detail. 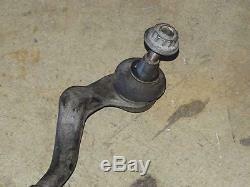 Used part, loose and unbolted from vehicle. Used part, still on vehicle. 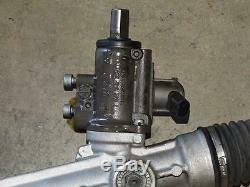 Used part that is rebuilt or reconditioned. Used part for which too many are available. We try to answer all messages within 24 hours. 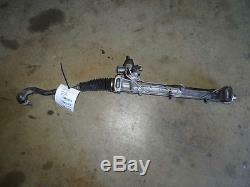 The item "09-12 AUDI A5 COUPE STEERING POWER RACK SERVOTRONIC" is in sale since Wednesday, October 07, 2015. This item is in the category "eBay Motors\Parts & Accessories\Car & Truck Parts\Suspension & Steering\Steering Racks & Gear Boxes". 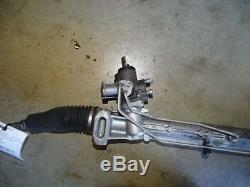 The seller is "european-parts-depot-online" and is located in Rancho Cordova, California. This item can be shipped to United States, to Canada, to United Kingdom, DK, RO, SK, BG, CZ, FI, HU, LV, LT, MT, EE, to Australia, GR, PT, CY, SI, to Japan, to China, SE, KR, ID, to Taiwan, TH, to Belgium, to France, to Hong Kong, to Ireland, to Netherlands, PL, to Spain, to Italy, to Germany, to Austria, RU, to Mexico, to New Zealand, PH, SG, to Switzerland, NO, SA, UA, AE, QA, KW, BH, HR.